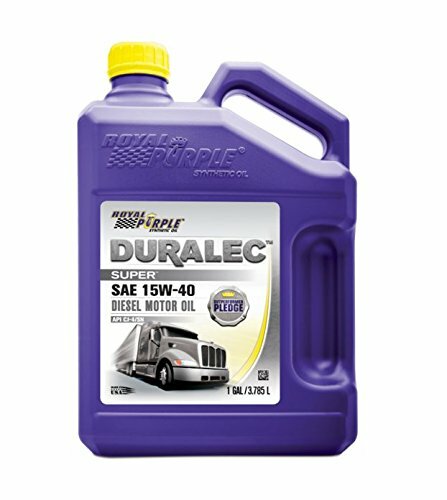 Best Oils for Duramax Reviews: Top-5 in April 2019! The Duramax is a General Motors V8 diesel engine for trucks. The 6.6-liter Duramax is produced by DMAX, which is a joint venture between GM and Isuzu. To assure optimum performance form any DMAX engine, you need some heavy-duty oil that provides both protection and lubrication at the same time. In this article, I present you with the five-best oil solutions for your Duramax engine, each one is a great solution for a specific application, and all work perfectly well in any State and across all the States of America. 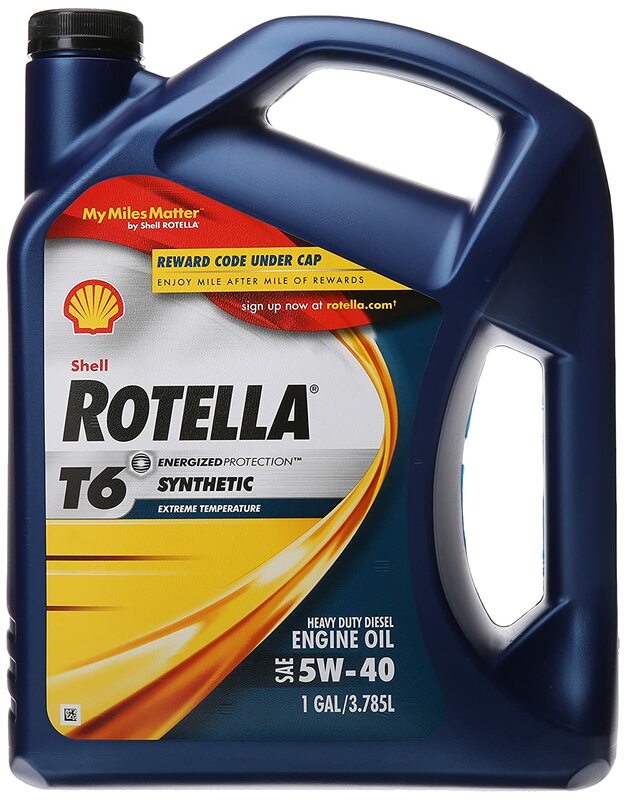 Shell Rotella® T6 Full Synthetic Diesel Oil is a classic synthetic 5W-40 oil that provides protection in extreme operating temperatures while being compatible with exhaust emissions control systems, delivering fuel economy performance. Shell Rotella® T6 5W-40 synthetic heavy-duty engine oil delivers better fuel economy with an improved fuel consumption performance that saves money when compared to other oils in the same category. This is an improved API CJ-4 synthetic engine formula that significantly increases protection from older generation oils. You also get a much-improved deposit control, and the Shell Rotella® T6 full synthetic heavy-duty engine oil is heat resistant, so it doesn’t break down into sludge. This is a low ash formula, so it has excellent emission system compatibility and delivers excellent shear stability. When it comes to heavy-duty oils and your Duramax engine, it is hard to beat the good quality of this Shell Rotella® T6 5W-40 oil and is perfect for all those long hauls and heavy driving conditions. Mobil 1™ 0W-40 Advanced Full Synthetic Motor Oil is designed to work in any condition, even with engines that have no Diesel Particulate Filters (DPF) engine technology. 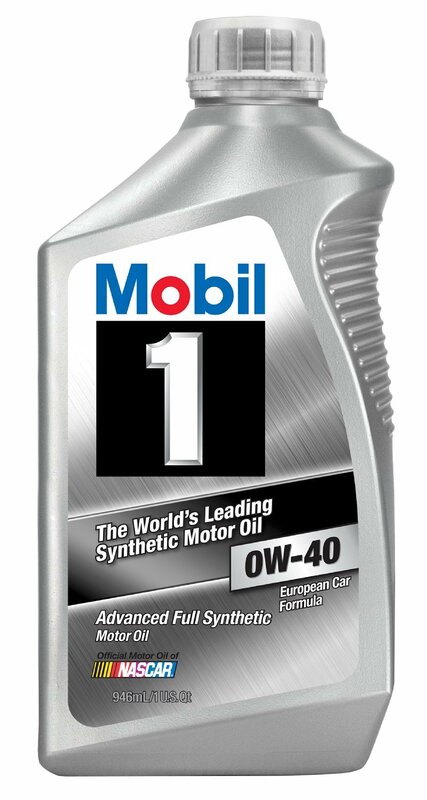 Mobil 1 0W-40 is a proprietary combination of high-performance synthetic ingredients that go beyond the OEM requirements. This 0W-40 oil has a 70.8 viscosity at 40º C, and a 12.9 viscosity at 100º C,with a viscosity rating of 186. An MRV of 21600 at -40ºC and an HTHS Viscosity of 3.6 at 150ºC makes this one of the most versatile oils on the market. But then what do you expect from Mobil. This amazing oil provides enhanced frictional properties and delivers a wide temperature range of performance levels that delivers excellent engine performance and protection for all weather and road conditions. This is one of the more popular brands that is used by millions of truck owners around the world and is designed to perform in the cold wastes of Siberia to the hot sweltering deserts of Yemen. This is the one for heavy duty workloads and long hauls, it is proven to provide extreme temperature performance, and as such is used in the far reaches of Alaska as well as the hot long hauls of Florida, Texas, and Louisiana. 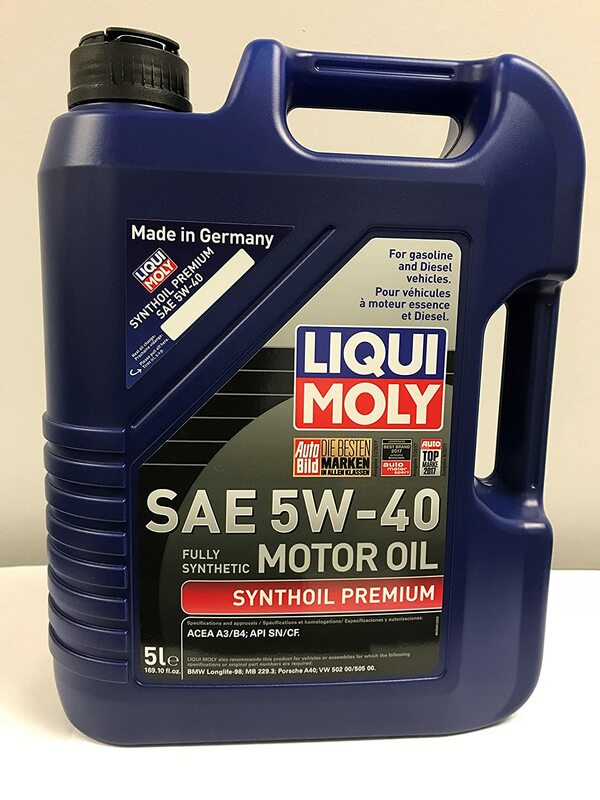 Liqui Moly 2041 Premium 5W-40 is a synthetic, high-performance, low-friction engine oil engineered specifically for gasoline and diesel engines with multi-valve and turbocharging technology. The Liqui Moly 2041 is a performance oil for all-season use. This synthetic maintains a clean engine for longer service intervals and is specifically designed for heavy duty commercial use. You get fast ignitions and a rapid oil delivery at low temperatures , and it meets a high range of temperature performance levels, operating exceedingly well in the low ranges and extending its performance all the way up to overheated engines. The ingredient mix delivers a very high shear and aging stability while providing yours with outstanding engine cleanliness. The smooth engine running characteristics includes a reduction in fuel consumption and pollutant emissions, together with optimized oil pressure at all engine speeds. You can use this oil safely in systems that have a catalytic converter, and this oil stands out in turbocharger engine performance. If you are not sure which engine oil to choose for your demands, and have an upgraded engine, then don’t think twice, this is the best all-around performance oil for turbo charged and super charged and engines with analytic converters. 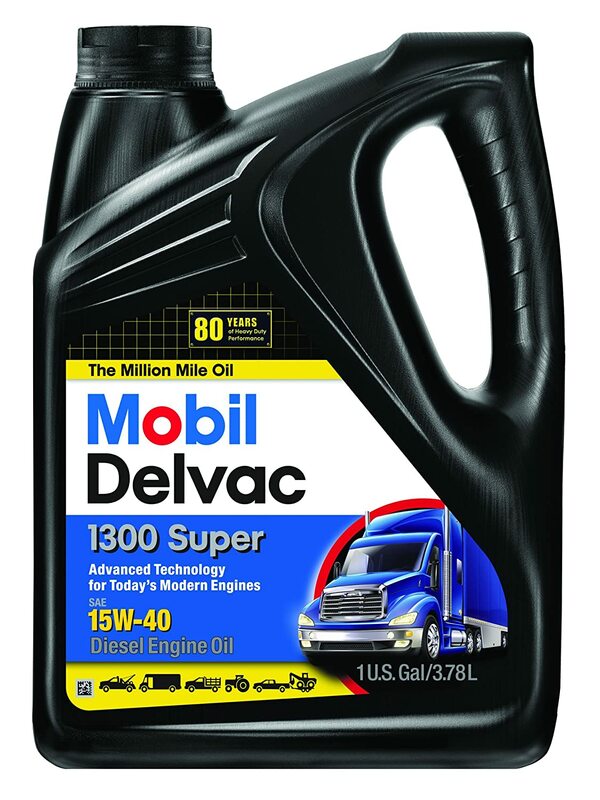 This is the Mobil Delvac™ 1300 Super 15W-40 advanced diesel engine oil. This is a Mobil oil, which is all I need to say. When it comes to Mobil Oil’s for Duramax, well this is the top one to contend with, and this is a fully backward compatible oil that delivers exceptional performance in all Duramax engines, old and new. What you get here is an extended oil drain interval (ODI) with 1.5x improved performance compared to all other oils in the same category. With 50 percent more wear protection and outstanding oxidation stability, you get an oil that delivers excellent soot and viscosity control which is confirmed to meet all API CK-4 requirements. So, what is so special about this oil, well, it works with all the latest engine brands that are equipped with after treatment systems and EGR. It also works extremely well with older and naturally aspirated conventional designs. This is an on-highway heavy-duty trucking oil that also provides off-highway performance for trucks providing mining, construction, and agricultural applications. This oil gives you enhanced TBN reserves which improves corrosion protection and extends drain intervals. It also provides you with stay-in-grade shear stability and delivers excellent low-temperature performance. What can I say, its Mobil…or did I already say this? The bottom line is that this is the oil you want in stock for every occasion, sort of like having freshly squeezed orange juice instead of a Minutemaid. This oil delivers on all aspects, and if you really love your truck, you won’t give it anything else. Royal Purple’s API-licensed Motor Oil is a synthetic blend oil that has a snazzy name but lives in America. Why do we love Royalty? Maybe it was a guilt complex from getting rid of them a few centuries ago. Whatever the reasons, this royal oil is a solid performer when it comes to wot truck engine performance. The Royal Purple uses an enhanced additive technology that is designed to prevent metal-to-metal contact beyond both dexos1™ and ILSAC GF-5 specifications. This means you also get a low coefficient of friction that delivers optimized fuel efficiency. This oil includes a patented ZDDP additive that optimizes the lifespan of emissions catalyst systems. It also comes with a patented additive technology that is engineered to prevent white sludge and lubrication starvation that you commonly get with 20% or higher ethanol fuel sources. This is a no rust standard oil. This is an exceptional oil that is perfect for performance engines and is used a lot in the heavy haulage sector. Good oil is essential to maintaining engine life, as well as providing you with smooth running in all conditions. You might think that one oil is the same as the other, but they are not. Each one of these oils is different, and yet they all perform perfectly when used for their specific applications. No matter which oil you choose from these five best products, each one will make your Duramax work perfectly and provide you with a smooth, long-lasting and engine protecting performance.